Roll like a pro. 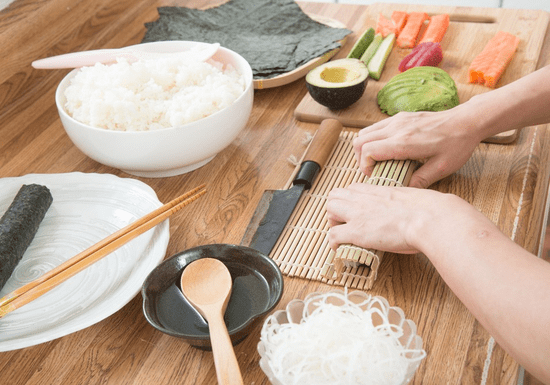 You will learn all the steps to making a great sushi roll, including a demonstration on the sushi rice, which is arguably the most important part. You can select between making a traditional Uramaki (inside-out roll ), Maki, or Temaki with the fillings of your choice based on the recommended selection of your instructor who is a certified, award-winning chef. Once you know the method and techniques, be creative! To attend this class, no experience is required! All equipment and ingredients will be provided and can be easily found at local markets if you want to start making sushi in your home. "Amazing experience! This is my second class"
"Excellent class thoroughly enjoyed it!" "The class was good. 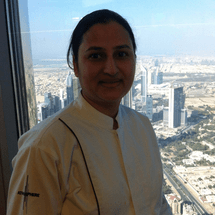 Being a beginner, I was able to learn the basics from her."